The Thomas R. Beecher, Jr. 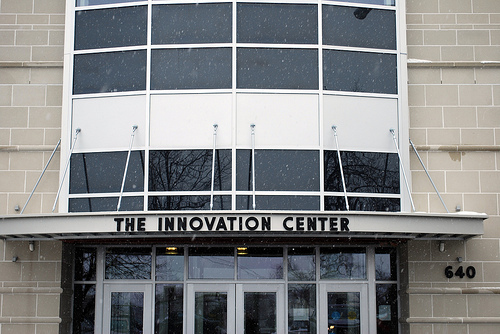 Innovation Center, located at 640 Ellicott Street in downtown Buffalo, is a LEED-certified research and development space housing life sciences and biotech companies, as well as companies offering support services like IP attorneys, talent acquisition, sales, and marketing. The growing space is designed to accommodate small to medium companies seeking office, wet lab and/or research space, on a month-to-month basis or via longer term leases, located in the heart of the thriving Buffalo Niagara Medical Campus. In addition to traditional lease space, the Suites at the Innovation Center offer physical and virtual office space on a month-to-month basis. Offices are fully furnished with telephones and internet access included. Our “plug ‘n’ play” space is perfect for entrepreneurs and small businesses.